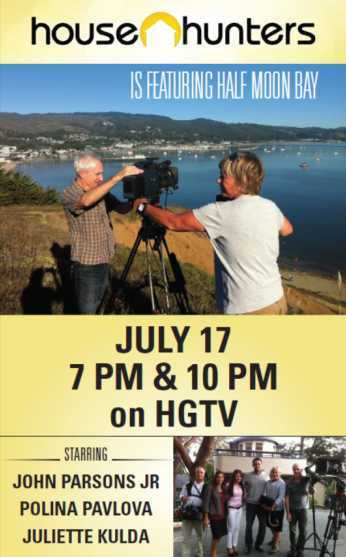 Half Moon Bay and our charming Coastside community will be featured on the national television show “House Hunters” tomorrow night July 17 at 7pm. Tune in or record it to get a feel for what it’s like to be a buyer in our Coastside market! – and see our friends. House Hunters is one of the real-estate-reality-shows on HGTV. I expect you will get a glimpse why homeowners love living here. Plus, it will be fun to see my son’s former basketball coach and an office mate on TV!